How do new invention ideas get created? Many people believe that invention ideas are only created by those with a special gift for creativity. Do you too think new inventions ideas just present themselves to people? Figuratively “hitting them on the head” one day? Do you sit and wait for new ideas to come to you? Many inventors come up with their ideas through a detailed and long thought process that is structured and iterative. They think, and try, improve and redo, again and again until the right idea takes shape and form in their head. Coming up with new invention ideas is possible, for anyone. and its easier than you might think. Let’s break the process into six easy steps. Follow them often enough, keep your eyes open for ideas and potential areas of improvement, and i guarantee you will have your own new invention ideas pretty soon. In order to come up with good new invention ideas, you need to focus on an area you know well. It’s hard to come up with improvements and new solutions in fields you know nothing about. The more you either know about an area or can learn about it easily through others, that easier it’s going to be to find what is missing or what can be improved. Make a list of fields you know well. What are you passionate about? Do you have a hobby you have been engaging in often? What field do you work in? Do you have lots of friends or acquaintances in the same stage in life? They can be parents, or looking to move into a new house or anything really. The aim is to identify and make a list of niches where you either have or can develop an expertise. You don’t need to know everything about the field. You just need to have access to people related to it somehow, so that you can learn about their habits and their challenges. Once you define a theme, a niche, you can start digging deeper with the aim of finding areas for improvement. Your new invention ideas will try and solve this issues or provide that necessary improvements. Your aim is to find what is missing and what can be improved. Your new invention ideas will try to solve those. What is not perfect in that field you identified in step one? What do people complain about? What bothers them the most? What would make their life easier? Don’t underestimate the smallest issues and complaints. 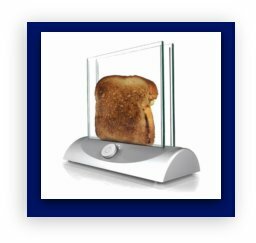 The mundane annoyance of having to cope with burned toast for breakfast, led to the invention of the clear walled toaster. Someone was annoyed enough with having his toast not done just right (either burned or not toasted enough) that he came up with a toaster that allows you to see when exactly your toast is done just the way you like it. What annoys you? Can you come up with a new invention idea to make things better? A mother who took her kids to the amusement park, wrote her phone number on their arms with a coloured pen so that if they got lost whoever finds them could call her. During the day, the number kept being erased and getting smudged. She was annoyed with the imperfect solution, and invented the Safetytat- temporary identification tattoos for children. Isn’t that a great new invention idea? Ask questions. Interview people around you. Don’t ask them what they would like to see invented. They don’t know, and this is your job to find out. Ask them what annoys them; what would they love not to have to deal with. What worries them? Be a frustrations detective. If you feel self conscience asking people directly, use the web , to research what people find troublesome or problematic. By now you know which niches you have access to, and you have interviewed, observed and asked people what worries and bothers them. You have a list of problems people are facing and you are ready to move on to the next step. 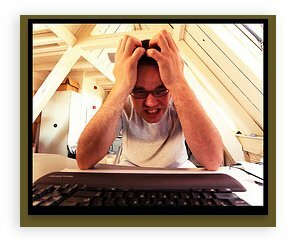 Look at each of the frustrations on your list and break them into a step by step process. What worries people and why? Let’s take another invention created by a mother as an example as to how this works. This mom was annoyed by the fact that her baby was bumping her head on the cot bars, again and again. She wanted to use cot padding that was available in stores, but heared from her friends that there were safety concerns, and that several warnings were published, cautioning that cot bumpers can cause suffocation. She needed something to pad her baby’s cot, without using existing solutions that were not safe. 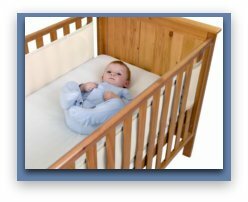 That’s how the invention of Bumpsters - a safe alternative to cot bumpers, was created. Let’s look how she would have broken the problem into a step by step process, in step three. What was the problem? Her baby kept bumping her head in the bars. Lastly, she narrowed the need into a specific issue- how do i make sure the cot is padded in way that protects a baby, but the baby will not be exposed to suffocation concerns, by having his face stuck against the padding fabric. What can she come up with that will pad a cot, won’t have stretched fabric that might create suffocation and will be easy to use? Her invention was padding that goes around each cot bar, leaving gaps between the bars, unlike regular bumpers that go around the cot. Another inventor, faced with the same problem, and using the same process, was able to come up with a different invention, that is a different solution to the same problem. The safe dreams cot wrap is a bumper that wraps around the cot and is made of meshed fabric, so that a child can breathe through it, without suffocating. By breaking a problem you identified into a step by step process, you too can easily come up with a specific, crystal clear, need. Once you do that, you will know what you need to invent – what is the solution you need to find. The next step will help you find it. 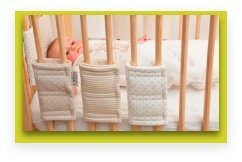 Once you know exactly what the need is (in our example above –a cot bumper that will not be a hazard of suffocation), you can start researching, what already exists and how it can be improved. Inventing doesn’t necessarily means coming up with new invention ideas out of thin air. More often than not, you are just improving on an existing solution. Ask yourself and try to find out – how is this problem being addressed or solved now? Do the solutions offered in the market do the job? Maybe no proper products exist, but people are improvising and their improvisation is not good enough? 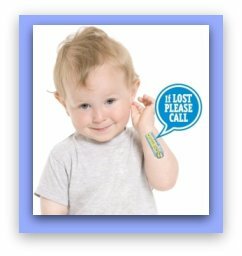 In the Safetytat example, the inventor was improvising by writing her phone number on her children’s hands but realised that the number got smudged. She might have researched what else exists in the market and saw that some bracelets with id tags were being sold, but she could see that they might not be ideal, as they could get lost etc. What exactly is wrong with the current inventions/solutions to your identified need? Observe how people use these solutions, when do they get stuck? What is hard for them to do? How can it be improved? You can also use the web to find what people think about existing solutions. Answering all these questions will give you the background for your new invention. Once you know what is the problem, exactly, and how what is currently available does not do a good enough job, you will easily be able to come up with improvements and new invention ideas. Working with a specific issue in mind is much easier than brainstorming in thin air, and it facilitates more creativity . Have you researched existing solutions and they seem to do a great job? You cannot come up with that specific thing that needs to be improved? Don’t forget to ask yourself whether there is a better way to provide existing products with some additional benefits. Are the existing solutions great but too expensive? Do they harm the environment? Do they require a huge investment to install? There is always something that can be improved. Now you know exactly what is missing from the market. How can you create a solution that will fill the gap? Start by trying to borrow ideas from other areas. Think of products from completely different fields, with completely different objectives, that have a feature that is relevant to the invention you are trying to create. Look at the description of what you need to create, the one you came up with in steps 4 and 5. What similar products that you know of, can give you inspiration to create your solution? The inventor of the KwickScreen, a retractable, portable screen that can be used in hospitals, knew he needed a way to fold a screen onto itself so that it takes as little space as possible. He got inspiration from rolled curtains and roller banners. Use the features you identified in other products, to come up with new invention ideas that can solve your researched problem. Remember, you do not need to design an exact solution. A good invention idea, one that can then be formed into a prototype, is all you need. You have your invention idea. You are excited. Now is the time to stop and make sure - Is this invention idea useful? Sometimes, the steps outlined above, will lead you to find some great problems and to identify great new invention ideas. Don’t get carried away with your own creativity. Always ask yourself: is this really a problem? How interested will someone be in using my invention idea? The world is full of new invention ideas that are useless or have no audience. Sometimes the fact that people have a problem and your new invention idea solves it, doesn’t mean that they will be willing to use it or pay for it. It’s better to realise it early on, before you spend, time, money and effort developing a product or writing a patent on something that will never succeed. Before you completely give up on your new invention ideas, stop and think - who else might find this idea useful? Could your invention idea be used for another purpose, for something you didn’t originally think of? You might still find hidden potential in your ideas. For more help on finding your unique invention idea, check out this less known thinking tool that will help you generate new inventions ideas. You might be more attracted to the opposite method of invention – starting with the creation of a new product by manipulating an existing one, and then finding the right use and benefit for your potential invention. Check out our guide on how to use the subtraction and attribute dependency tools to come up with new invention ideas. Have new invention ideas and want to monetise them?